Accessory Genie - Consumer Electronics and Accessories Industry News: Break away from the wall socket! Break away from the wall socket! We've all been in a situation where we are out on a day trip, hiking winding trails in the hills, or out sightseeing at some larger than life destination. You go to take that perfect picture with your phone or camera and the battery just dies on you, soon after you miss out on a dozen more perfect moments and you have no way of charging your device. What do you do? Turn back and head home to charge you battery? Not when you have the ReVIVE Solar Restore 360, a portable direct charging solar panel for your small devices! 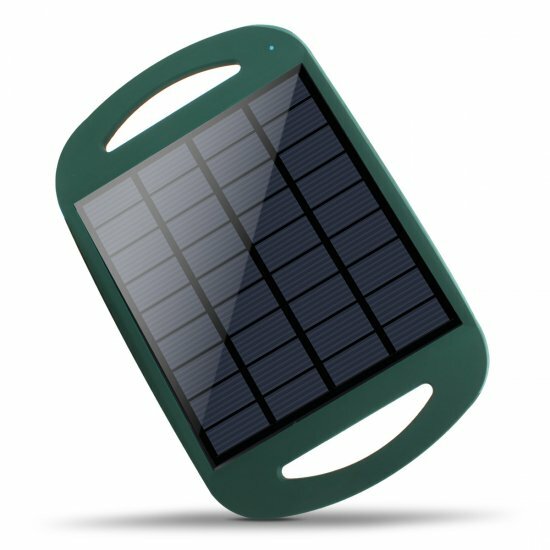 No more cutting your excursion short, this light weight eco-friendly solar panel charges your favorite little device on the go and gifts you freedom from the wall! The ReVIVE Solar Restore 360 comes with a sturdy aluminum carabineer that can easily attach to a backpack or belt loop for effortless transportation. Not only that, it also comes with an adjustable stand for when you find yourself sitting outside at a coffee shop soaking up some rays! The ReVIVE 360 is on sale now for just $19.99 with the newsletter code. Harness the energy of the sun and break free from the wall socket!